Award winning Geocaching Vlogger Justin, The Geocaching Doc, will be attending GeoWoodstock 14er in Denver, Colorado this long holiday weekend. And you can meet him! He will be having a meet and greet (along with his entire family) at 2:00 PM on the day of the event (Sunday, July 3rd), at the Cache-Advance booth. There, you can buy one of his new Geocoins ($20), which he sold/is selling as a fund raiser for the family trip to Colorado. He will also be holding a drawing for great prizes while there (including some Geocoins we imagine), so be sure to stop by and see him, and Lisa from Cache-Advance, while you’re at it. The video above will perpetually update to his latest, and he plans on making and uploading several from GW. And as an added bonus, The Geocaching Doc is back! Back on this blog, that is. And we’ll bet he didn’t even know he was MIA. 🙂 When we interviewed The Doc in 2013, he agreed to provide guest content for us. We totally stole this idea from the once popular Geocaching Blog Its Not About The Numbers, which posted the content of Joshua, The Geocaching Vlogger. But then, about a year ago, our so called WordPress sidebar widget that displayed his videos broke. Then for several more months, our entire WordPress installation itself was acting up. That is now fixed, and we went out and found a different sidebar widget that works with the latest version of WordPress, and you can see his latest video is once again displayed on our sidebar. Be sure to visit his YouTube Channel and subscribe. He recently passed the 5,000 subscriber milestone; a major accomplishment for which we offer our congratulations. Above is the YouTube trailer video from Geocaching Vlogger Geohnny Cache AKA Ron, Geocaching.com username I’m Geohnny Cache (note the spaces). You may remember him one of the winners of some of our 5th Anniversary Pathtags that we gave away in a contest in February. We knew of him from him being very well connected in the Geocaching Twittersphere at the time, and when we announced we were going to start getting back into news and interview blogging at the OCNA blog, he was the first person we thought of. He graciously agreed to do the interview. OCNA Blog: Where are you from? Ron: I am from Detroit, Michigan, I grew up on the Eastside of Detroit. After meeting my wife, we lived in a suburb of Detroit and about 7 years ago moved our family to St. Clair in the lower “thumb” of Michigan. 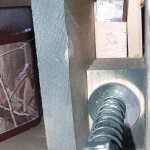 OCNA Blog: Many people have interesting stories how they heard about Geocaching, but yours is especially interesting as a Little Free Library owner. 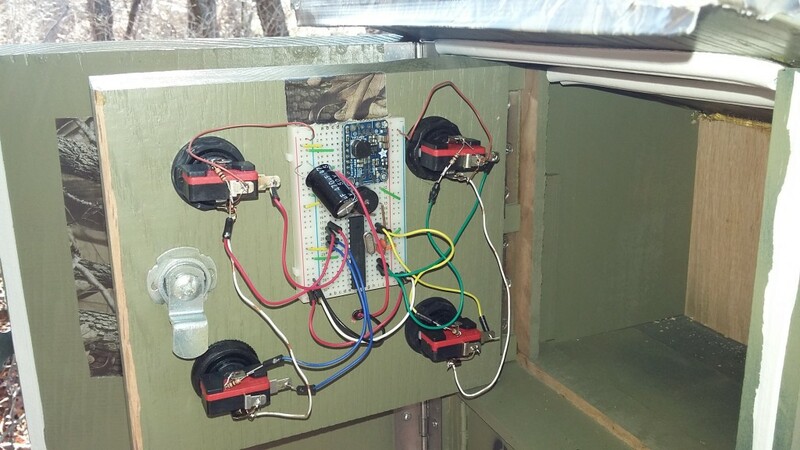 When did you install your LFL, and how did the whole thing happen with you first hearing about Geocaching as an LFL owner? Ron: My Little Free Library/Geocaching story begins on Twitter, where I like to follow a few of my favorite authors. One day a picture was posted on an author’s account of a Little Free Library that contained one of his books. I thought, “Little Free Library, what the heck is that?” At first I was bewildered because I had never seen a LFL before and I immediately became intrigued and excited to learn more. Once I saw what the LFL movement was all about and the amount and variety of libraries around the world, I had to have one! I began to make plans and do more research. My planning began in early Spring of 2014. By June, I had acquired a used wooden bookshelf that was perfect for building a library. With my Dad’s help we repurposed the shelf into a LFL. It was through an online community of LFL Stewards that I had another “What the heck is that” moment. This time it was Geocaching. A fellow Steward asked if anyone had a Geocache in their LFL. Again, I was intrigued and excited to learn about something new. I did some researching and started by hiding a geocache in my LFL. (Although, I would recommend that a new geocacher spend more time finding and experiencing caches before hiding their own). Then I began geocaching myself and that’s when I became hooked! Networking is always a great way to learn and interact with people, so I started a Facebook page, Twitter, Instagram and a Youtube channel dedicated to sharing my geocaching adventures. I would also encourage new cachers to meet other cachers at Meet N Greets or other events. It’s a great way to learn and share stories. OCNA Blog: After you started Geocaching, how long did it take before you found out there were many Geocaching Vloggers out there on YouTube, and that you would like to join their ranks? 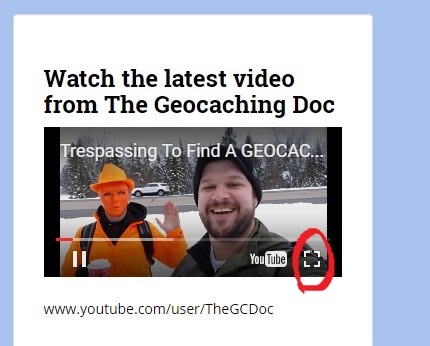 Had you made YouTube videos on any other topic before hearing about Geocaching? Ron: Youtube was one of the first places I went to learn about Geocaching. The first videos I watched were by The Geocaching Vlogger, The GCDoc, and Geocaching with Darick. Their enthusiasm was contagious! I was intrigued by vlogging and knew this was what I wanted to do as a Youtuber. I have always enjoyed video making and editing for other personal or work projects but had never created my own channel. I followed the example. I watched in their videos and gave it a try. Of course the first few videos are rough as I got used to holding and talking to a camera and then actually finding the geocache. I have made 34 videos since that first one just over a year ago. I strive to make a video that is entertaining while showing the journey. Because after all, geocaching is about the journey not necessarily the cache itself. I tend to do less talking and let the scenery and music tell the story. Soon after starting my channel, I joined The Geocaching Network. 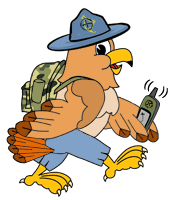 The GCNW is a hub for collecting youtube channels with the goal of promoting geocaching videos in a centralized location. There are many other vloggers that I enjoy watching and we interact by commenting on each other’s videos. I would love to mention them all but would leave someone out my mistake. I am inspired by all of the vloggers on Youtube. OCNA Blog: What gear do you use to make your videos? Ron: My video making equipment is extremely simple. I use a point and shoot Sony Cyber-shot. I discovered that this still photo camera took way better video that my handheld video camera did. I attach it to a small handheld tripod. Recently though I upgraded my tripod to a VariZoom Stealthy. It can be configured into multiple setups and works great in the field. My editing is done on a Macbook Pro with iMovie. I find that iMovie is simple yet really effective for editing. I also carry a Geobag that contains tools of the trade and swag. OCNA Blog: Geohnny Cache is quite clever, Or would you have preferred Johnny Cache if that was available? How did you come up with that name? Ron: I knew that Johnny Cache would have long been used so I came up with the alternate spelling of Geohnny and was excited to use it. For my geocaching user name I added “I’m” to the front to call myself “I’m Geohnny Cache”. That kind of reminds me of the beginning of the live Folsom Prison Blues when Johnny Cash says, “Hello, I’m Johnny Cash” (My Pathtag actually says that: “Hello, I’m Geohnny Cache”). On all social media I shortened the name to Geohnny Cache. I’m a musician, so to have that caching name was pretty cool to me. I play guitar and mandolin professionally (I still have a day job) in a duo cover band called Smith & Tucker. I also play music with my dad and brother in a band called Runyons Branch. Music has always been a part of my family heritage, Classical on my Mom’s side and Bluegrass on my Dad’s. OCNA Blog: We understand you’re one of the 5 rotating hosts of U.S. Geocaching Hour on Twitter. Can you tell us a little bit about what that is, and how it works? Ron: The #USGeocachingHour is a Tweetchat that occurs every Monday night at 9:00 ET, 8:00 CT, and is hosted by @USGeocaching. I was a regular participant and last December became one of the rotating hosts along with @geocachingVlogs, @GeoDarick, @myruggy89, and @geojosh13. The tweetchat is a lot of fun and gives geocachers from all parts the opportunity to get together. The hour works like this; The host will run the show and ask geocaching related questions from the @USGeocaching account. Typically there will be 7 or 8 questions throughout the hour. Participants can answer/discuss the questions and/or have side chats. As long as everyone puts #USGeocachingHour in their posts, all the participants can follow under the same feed. I’ve enjoyed being a part of this team and especially collaborating on a Holiday Video we made together. (See below). OCNA Blog: Smartphone app, or handheld GPS? Which app do you prefer? Ron: I started Geocaching with a Garmin 450. Last summer I upgraded my phone to a smartphone and now use an app. I am currently using Cachly a lot and I also use the original paid app from Geocaching.com. OCNA Blog: Here’s a good one for a guy from Michigan. What are your Geocaching Temperature extremes? Coldest temperature in which you found a cache, and the hottest? Ron: Michigan winters can be very extreme. I have been out in temps of single digits Fahrenheit with wind chills of ??. Winter caching can be especially challenging with several inches or feet of snow on the ground. Because I started caching in Winter, I was determined to get out there. I kind of enjoy the stillness and beauty of a snow covered trail. One of my recent videos shows the beauty of a snowy trail as I went after a First to Find. Michigan summers can reach 95 degrees with high humidity, so both times of year require good common sense and proper clothing and extras like hand warmers in winter, sun screen / water in summer. OCNA Blog: Favorite Cache(s) so far? Ron: I think one of my favorite caches was one called “What’s Worse than Thorns?” This cache was an ammo can hidden is a thick brush if thorny trees. The ammo can was filled with glitter and Red Herring containers. So after bushwacking to GZ, I had to dig through the glitter, open several containers to find the log. Another favorite was a photo booth cache that my dad and I found in Kentucky. One of my Cachin’ in Coal Country videos show us dressing up and having some fun.The Hatfield and McCoy Geotrail was also one of my favorites because my dad grew up in that area of Kentucky/West Virginia. There is a lot of history there. There are so many other caches that could be favorites, not necessarily because of the cache itself but because of the location or the time spent with family and friends. OCNA Blog: It seems like the smartphone app Periscope is becoming popular with geocachers, including yourself. Can you tell us a little bit about that app, and how you have used it? Ron: Periscope is an app where you can broadcast what you’re doing live and anyone that follows you can get a notification that you are “on” and watch your streaming video. When people watch your broadcast they can send messages on screen and you can verbally interact with them. It’s a great way to share a quick geocaching find and build an audience. The videos are available to view for 24 hours afterward. It’s also integrated with Twitter so your broadcast can be posted. I have used it a couple of times for a geocache find. I have also used it on another account to share my son’s Marching Band shows with other band parents. Geocaching with Periscope can be tricky if you are using the same Smartphone for both. I would recommend using a GPS as well or go with a friend. Thanks to Ron for that great interview. 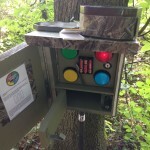 Very informative For someone who is a “newer” Geocacher, we’d have to say he’s a natural! Here are some links, check them out! We did tell you in our last post (in not so many words) that OpenCaching North America considers itself well connected in the Geocaching Twittersphere, didn’t we? A couple weeks ago, we stumbled on the new Twitter account (created in Mid-February) of a new face on the Geocaching Vlogging scene, Geocaching Kaity. We were immediately impressed by her intro video, which is embedded above, and asked her if she would take some time out of her busy schedule for an interview, to which she agreed. Kaity: I am from good ole’ Georgia! My dad actually introduced me to geocaching around 2007 when I was in middle school. He just bought a GPS to use during his deployment in Iraq and needed to test it somehow. He discovered Geocaching on the internet and that was the beginning of all our fun adventures! I didn’t start my own Geocaching account until 2012 when I had a lot of free time with my friends.